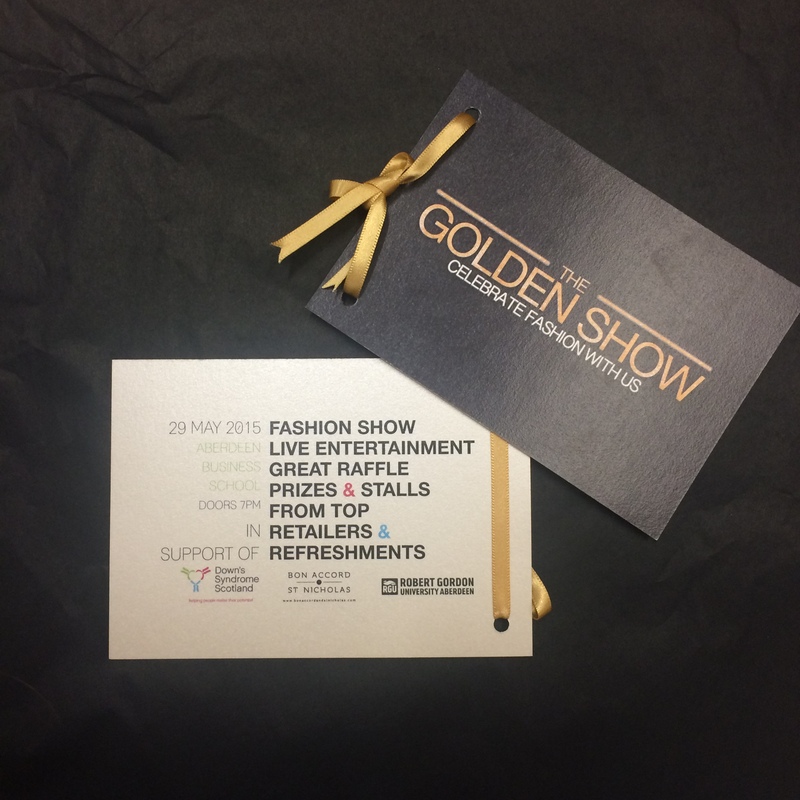 We’re delighted to reveal this year’s fashion show ticket! These are now available for purchase and you can do so by emailing thegoldenshowrgu@outlook.com. Our standard ticket price is £20 and this includes a welcome drink, programme and goody bag. The cost of a VIP ticket is £30 and includes all standard items plus access to our designated VIP area where there will be cocktails/ mocktails and catering, as well as a copy of our fashion magazine, a deluxe party bag and interactive seating. This entry was posted in Courses, Events, News and tagged 50th anniversary, aberdeen, Aberdeen Business School, abs50, fashion, Fashion Management, fashion show, fiftieth anniversary, RGU, robert gordon university, stage 3, students, the golden show, third year. Bookmark the permalink.